Google is always making improvements to their products, especially on mobile. Now they’ve introduced a new feature to their Image Search on phones with Style Ideas. As the name implies, this new feature will offer tools to help you coordinate outfits while researching fashion. This new feature works together with their Similar Items tool which would show users similar items when shopping, that rolled out earlier this week. 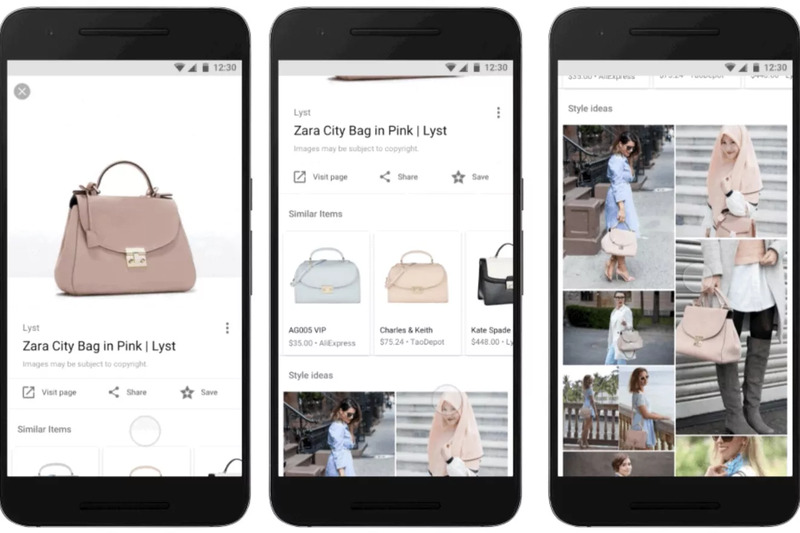 So when you’re searching for a particular product, Google will show you a surface grid of lifestyle pictures that show off the outfit or product will look like in real life. This so then you can get a better idea of what clothes and accessories will work well together. Also when searching for a product, Google will suggest “similar items” which may fit your budget better or better suit your tastes. If Google was to add some real-world contextual search like Samsung’s Bixby, to Style Ideas, then just imagine the possibilities. You could be walking down the street and see a store window and you happen to really like the ensemble (or just one part of it), you could just hold up your phone, open the Google app and point your camera, then Google Style Ideas can show you different options.